A few days ago, when I received a phone call at the mission home in Rosario, Argentina, and President Kimball extended to me this calling, Sister Abrea and I were not only touched emotionally, but also overwhelmed by the tremendous responsibility. A feeling and a word immediately filled me. The feeling, gratitude; the word, gracias﻿—thank you. Thank you to those two lady missionaries who, almost thirty-eight years ago, arrived at my door and brought the good news of the gospel. Thank you to my dear mother, who took me to Primary, to each meeting of the Church, with whom I read for the first time the Book of Mormon, and who even now, by means of her activity and faithful life in the Church, continues to set for me an example worth emulating. Thank you to my beloved wife, who has helped and sustained me, always full of faith and love for the gospel, a constant inspiration in my life. Thank you for my three daughters, who, because of their love and dedication to the Church, are a pride, joy, and happiness in my life. Thank you to my leaders and teachers, who, many times under unfavorable circumstances, have done their part. Thank you to the hundreds of missionaries who have made possible the development of the Church in the countries of South America. And especially thank you to the parents of those missionaries who have sent their sons and daughters to unknown countries, perhaps with fear and anxiety, but with the surety that they would be doing what the Lord required at the time. And finally, thank you, Father, for my testimony, for knowing without the slightest doubt that my Father in Heaven sent his Only Begotten Son in order to bring about the great work of redemption. Thank you, too, for the knowledge that Christ was resurrected and that he lives. Thank you for knowing that Joseph Smith received a divine mission to fulfill, that he carried it out, and that by his mission we arrived at the true knowledge of our Savior, Jesus Christ. 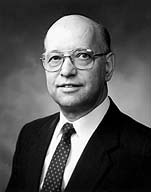 Thank you because I know that The Church of Jesus Christ of Latter-day Saints is true and is the kingdom of God upon the earth and that it is presided over and directed by a modern prophet, President Kimball, who has been a continuous influence in my life, ever since the years of my early youth. For this testimony, which is my surety, my rock, my sustenance, which I have received by the mediation of the Holy Ghost, I give infinite thanks, and I place all my talents, time, efforts, and all that I possess to the work to which I have been called. That would be my way to express in part my thanks. Gracias. I say these things in the name of the Lord Jesus Christ, amen.